Canmore, Alta. about 105 kilometres west of Calgary, was the site of the 1988 Olympic Games. The park is situated at the foot of Mount Rundle in the Canadian Rockies, along the Bow Valley and the Trans-Canada Highway. Calgary’s bid for the 2026 Winter Olympics appeared to be headed for a sudden, but not entirely unexpected, death this past week as a funding dispute between the city, the Alberta government and Ottawa prompted a council vote on whether to walk away from the process. Councillors, wary of promising to spend billions to bring back the Games when the city and province are struggling, appeared to believe the process had become too dysfunctional and risky to continue. But the bid narrowly survived after the bid corporation, known as Calgary 2026, and provincial and federal governments trimmed the budget for the Games and proposed a complicated funding arrangement that has not yet been fully worked out, much less explained to Calgarians ahead of a Nov. 13 plebiscite that could determine the fate of the bid. Here’s what you need to know about what changed, what potential pitfalls remain, and what happens next. The cost to governments to hold the Games, initially expected to be $3.01-billion, was reduced to $2.875-billion this week. That public share would now be almost evenly split between Ottawa’s money and the combined contribution from the Alberta government and Calgary. The total cost of the Games is now expected to be about $5-billion, down from about $5.2-billion, with the private sector providing $2.2-billion, and the rest coming from the International Olympic Committee. Ottawa’s contribution would now be $1.423-billion and Alberta has put forward $700-million. Both governments say they would not cover cost overruns. To get to the lower budget, officials from all three levels of government agreed earlier this week to make a number of trims to planned Olympic spending. The cost of security and essential services, originally budgeted at $910-million, was cut by $155-million. The $620-million budget for new housing was cut by $45-million. The $85-million cost of redeveloping an area for the main athletes' village near Calgary’s Stampede grounds was eliminated. The total number of new units planned for construction was reduced by nearly one-third as a result, and a cheaper place will be found for the village to house thousands of athletes. To meet Ottawa’s demand that the two other governments match federal funding, two new expenses were added to Calgary’s tab. The city’s already planned $150-million in improvements to the area around the Stampede Park – two new road underpasses – was counted as new money. Calgary would also be on the hook for $200-million in contingency funding in case of cost overruns, which the city says it could cover with a $20-million insurance policy. Duane Bratt, the chair of policy studies at Calgary’s Mount Royal University, said the budget Calgarians will vote on is “not the final document" and he expects more changes. "What was presented at council is just chock-full of holes. It’s an agreement to get the bid through the plebiscite. I just don’t think it’s realistic,” he said. One expense he expects could be added to the cost of the Olympics is a new arena for the Calgary Flames if the city gets the go-ahead to host the Games. 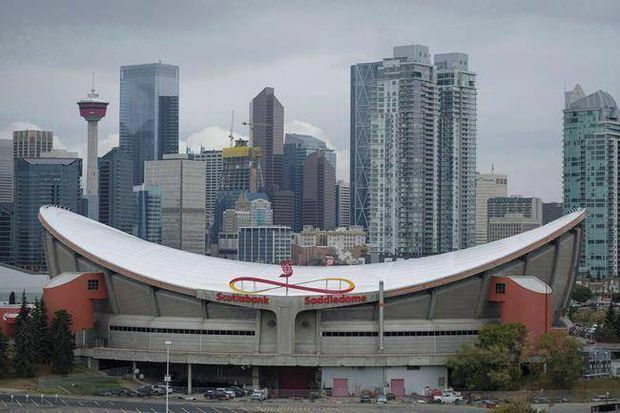 Both the Flames and National Hockey League have been pushing Calgary to invest substantial public money to replace the aging Saddledome. The bid corporation insists the arena should not be considered part of the cost of the Olympics. The Saddledome in Calgary, Alta., on Friday, Sept. 15, 2017. The International Olympic Committee believes Calgary's Saddledome can host hockey and figure skating in 2026. After holding the 2010 Olympics, Vancouver can point to a new mass-transit link to the city’s airport and venues transformed into community centres across the Lower Mainland as a legacy. Calgary plans to build a new recreational facility, but the city’s mayor and the head of the council’s Games committee, Evan Wooley, had said the main legacy would be a large injection of affordable housing. The new plan for the Games cuts the number of new housing units by one-third. With that revision, much of that legacy is now missing, Mr. Woolley said. The initial plan was to build the main athletes' village as a new transit-oriented development near the city’s East Village and the Stampede grounds. Significant new construction in that area is the city’s main planning priority, Mr. Woolley said. The new village was to house 3,100 athletes during the Games. Afterwards, the proposed development plan called for more than 600 units of housing, many of them near or at market prices. Three more athletes' villages would be built or renovated in the mountains of Alberta and B.C., the largest, in Canmore, would host 1,250 athletes. Canmore’s mayor told The Globe and Mail he was told no changes would be made to his town’s plan. When Calgary 2026 told city council this week it had cut its security and essential services budget by $155-million, the reaction was skepticism. How can you cut something as vital as security and how was the amount calculated? In its original plan, Calgary 2026 noted security costs would be $610-million and essential services (emergency and ambulances, public transit, snow removal, zoning and permits) would be a further $300-million. A breakdown from the federal government shows the cuts this week included $115-million from security and $40-million from essential services. The federal government says the original security figure was a broad estimate, and the new, lower number reflects a more detailed plan. The government also says technology, such as better screening devices at venues, will mean fewer security staff would be needed. When the Games were in B.C. in 2010, security cost originally estimated at $175-million ended up being the single biggest expense, at nearly $1-billion. Alberta and the federal government both say they would not cover cost overruns, which only leaves the City of Calgary. “I think [Calgary 2026] has probably concluded that there’s a lot of stuff they can do under the umbrella of security that you don’t need professional police officers and militia-type personnel,” said John Furlong, the former head of the Vancouver organizing committee, who has advised Calgary 2026. The 2026 bid also includes events – and expenses – in Canmore, Alta., Kananaskis, Alta., and Whistler, B.C. None were affected by the budget cuts. The Canmore town council is scheduled to vote on whether to support the bid on Tuesday. Support appears broad in the community and among councillors, and the motion is expected to pass. Canmore Mayor John Borrowman said the 1988 Olympics helped define the town’s character, and he hopes the 2026 Games would bring equal benefits. More practically, he said the community badly needs the affordable housing that would be left behind. The bid also proposes using the ski-jump facilities in Whistler that were left over from the 2010 Olympics. It’s not clear what, if anything, B.C. would be required to do to accommodate events in Whistler or whether it would be asked for any financial commitment. The current budget does not include any money from the B.C. government. Earlier in the week, the B.C. cabinet minister in charge of sport, Lisa Beare, said the province has yet to be formally approached by the bid corporation and said any decisions would involve weighing the costs and benefits. Earlier in the process, organizers floated the idea of having some arena events, such as hockey in Edmonton, but say that is no longer being considered. The council decision keeping the bid alive has also invigorated the pro- and anti-Olympic camps ahead of the Nov. 13 referendum as they debate whether the billions of dollars budgeted for the Olympics would really be worth it. Emma May, an organizer for the campaign to approve the bid, said the focus is now on getting the new deal in front of Calgarians and disputing arguments that the chaotic, last-minute deals are a sign that the bid has operated through a secretive process. While Yes Calgary has orchestrated a parade of seasoned professionals, well-heeled supporters, Olympic athletes and pro-Games events/endorsements, the No Calgary side has been serviceable but small. In preparation for the plebiscite, it has worked the message many Calgarians have made clear at public gatherings and via social media that this is not the time to risk holding an expensive event like a Winter Olympics, not when the city has other expenses. “This process has been bungled since Day 1,” No Calgary founder Dan Gauld said. 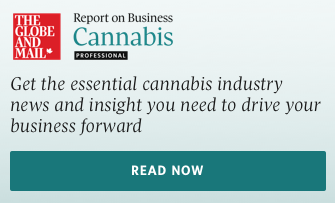 “There’s been a never-ending shifting of the goalposts, of deadlines, to keep the process alive."